If you are would like to partner with us to help get gospel-centered resources translated into 33 languages for the global church, let us know using the forms here. 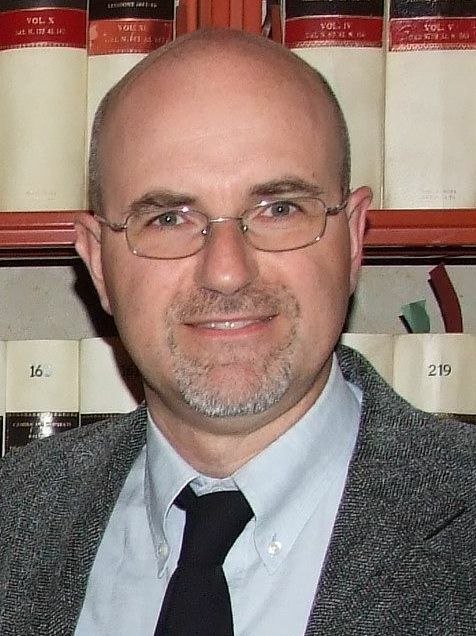 Continuing our series highlighting how the gospel is at work in various countries, I reached out to Leonardo de Chirico, pastor of Breccia di Roma church in Rome and lecturer of historical theology at the Istituto di Formazione Evangelica e Documentazione (IFED). A keen observer of the Roman Catholic Church, Chirico discusses the state of the church in Italy today, what it’s like to be an evangelical in Rome, recent Vatican intrigue, and more. In a hundred words or less, how would you describe the state of church in Italy? 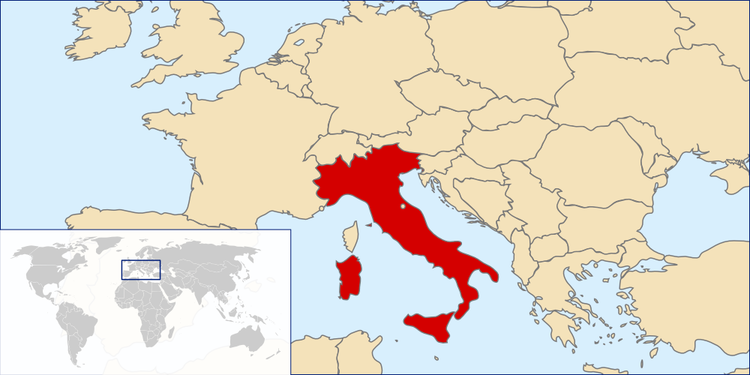 As the Protestant Reformation was suffocated in the 16th century by a powerful Roman Catholic church, the evangelical community in Italy has always been a tiny persecuted minority until the second half of the 20th century. Having learned to survive, churches are made of solid believers who nonetheless tend to be inward-focused and suspicious of others. However, these difficult conditions didn’t prevent the gospel from spreading, especially in the southern regions of the country. Evangelicals represent roughly 1 percent of Italy’s 61 million people. So the work ahead of us is massive. What most encourages you about the evangelical church in your country? The faithful evangelical witness of past generations in difficult circumstances is inspiring. The gradual growth of cooperative efforts—for instance, in advocating for religious freedom or mercy ministries—is also encouraging. There are more solid books being translated into Italian (e.g., authors like Don Carson, Tim Keller, John Piper, John MacArthur, Mark Dever), and conferences and training initiatives are available for the Italian public. Recently the Dictionary of Evangelical Theology, a 900-page volume with more than 600 entries, was edited by Italian theologians and had to be reprinted—something unthinkable even a few years ago. There are 120 students following a non-residential five-year course in Reformed theology at the Istituto di Formazione Evangelica e Documentazione (IFED); this is also encouraging. In the past, Italian theologians have significantly contributed to the cause of the gospel worldwide: I think of Peter Martyr Vermigli (1499–1562), peer to John Calvin and Heinrich Bullinger, whose Loci Communes (Common Places) were standard works for generations of Protestant pastors. I think of Francis Turretin (1623–1687), whose Institutes of Elenctic Theology is a crown of Reformed orthodoxy that served as the theology textbook at old Princeton Seminary. So while there’s still much to be translated, I’m convinced of the need for Italians themselves to write and develop contextually appropriate resources. There’s also a growing desire to see a shift from the survival mentality of the past to a missional mindset for the glory of God and the good of the nation. Without negating our struggles and problems, there is a sense of a coming momentum for the gospel. Efforts to help the Italian church from abroad have largely tended to either bypass national Italian church leadership or support autonomous individuals. I think we are becoming more credible partners to work with in promoting the gospel in our country. What are the biggest challenges facing the evangelical church in Italy? As my senior colleague at IFED Pietro Bolognesi rightly argues, we have three main challenges: (1) identity, (2) unity, and (3) training. In a struggling minority situation, Christian identity has been largely defined not by who we are but by who we are not (e.g., not religiously Roman Catholic, not theologically liberal, not culturally secular). The overall perception has been that evangelicals are a cult. There is a need, then, to better grasp our evangelical identity based on core gospel essentials rather than on subcultural features. Then there’s unity. Secondary distinctives have produced too much fragmentation. We need to do together what’s biblically possible, knowing that most of the challenges ahead of us (e.g., public witness, church planting, quality training) cannot be faced on a local level alone. Lastly there’s training. In struggling and small churches, formation haven’t been viewed as a priority. Most leaders are self-taught and self-trained. Cultural engagement is often shallow. The situation won’t improve if leaders don’t emerge who are better equipped for ministry and if we don’t have Christians better prepared for how to be faithful and missional in their vocations. A few years ago TGC published two pieces by Italian ministers. While one bemoaned the scarcity of spiritual leaders, the other lamented the shortage of Italian exegetes. In one sense, they were calling for the same thing: faithful, qualified, and able ministers of the Word of God. Would you agree with their take? Would you add anything? They certainly describe a real need. God’s church exists where God’s Word is faithfully preached. We need preachers who aren’t only exegetes but also men of the Word to raise the profile of Christian ministry in the country. We also need churches prepared to move beyond extreme independence and develop the ability to operate in networks. We also need to nurture a vision for gospel impact on the whole country, not just maintenance of our own little tribes. Our dream should be to see God grant a time of biblical reformation that boldly confronts the idolatry of the nation. For many years you’ve maintained a blog titled the Vatican Files (also appearing on Reformation21) where you write on the Vatican and Roman Catholic issues from an evangelical perspective. How did this begin? And what has the response been over the years? As a theologian living in Rome I thought one way I could serve and contribute to the efforts of the global church would be to provide ongoing reports and assessments of Roman Catholicism. The allure and appeal of unity with Rome is as enticing as ever. Yet the need is to understand Roman Catholicism as a system governed by spurious principles such as optimistic anthropology, synergistic salvation, abnormal ecclesiology, and ambiguous church-state identity which lies at the heart of the church. The Vatican Files are tools designed to help grasp the theological system binding the whole of Roman Catholicism—and it attempts to go beyond simplistic and superficial understandings of it. I’ve received encouraging feedback from around the world saying the Vatican Files are useful. Today, the contribution that Italian theology can make to the global evangelical family perhaps lies in helping it to frame a biblically robust assessment of Roman Catholicism. More than ever this is at the top of the list of the global evangelical agenda. Various reports indicate that a conservative dissent has been brewing in the Roman Catholic Church’s hierarchy as Pope Francis has sought, contrary to Roman Catholic doctrine, to grant divorced and remarried Catholics entrance both to the Church and to communion. As an evangelical in Rome, what’s your take? Pope Francis is working hard to change the overall narrative of the Roman Catholic faith, wanting it to be marked by mercy and inclusivity instead of tradition and rules. He’s pitting the “letter” against the “spirit” of Roman Catholicism, pushing the latter over the former. This explains the concerns of certain traditional quarters about ambiguities in his language, also present in the final document of the recent Synod on the family. Pope Francis wants to overcome the letter of canon law with a merciful spirit that welcomes all without challeging anyone. This is why he’s so loved by secular people. Everyone feels affirmed and no one feels questioned by what he says. But the biblical good news is that Jesus has come to pay for our sins and calls all persons to repent and believe. If you miss one bit of the gospel, you miss it all. The Pope uses language that resembles the gospel, but the meaning of what he says is far from it. How can we pray for the evangelical church in Italy? a renewed gospel-centered engagement of society that addresses the bankruptcy of both religious and secular illusions in the hope God will move powerfully in the country.